The Dhakai bakarkhani is somewhat thicker, more like a biscuit. 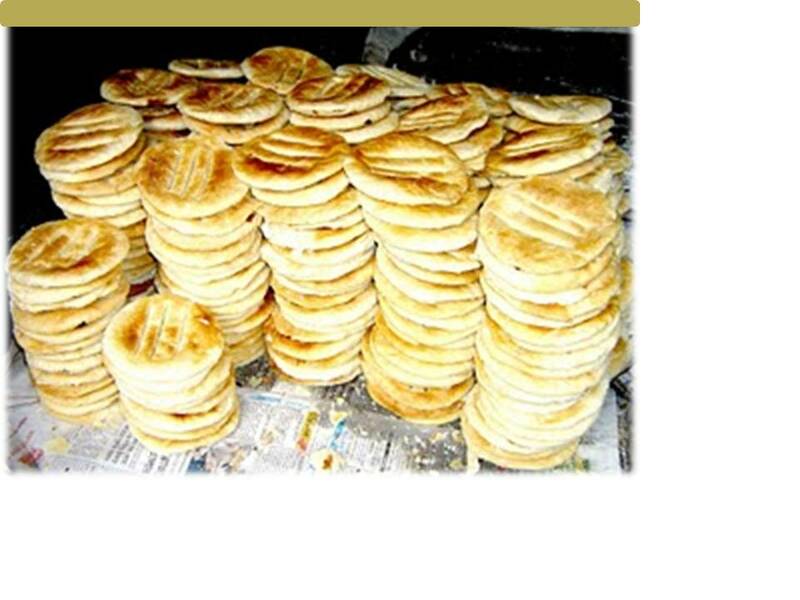 Stacks of Bakarkhani lined up at bakeries is a common sight in old Dhaka. It is often eaten with kabab. It is the most popular food in Puraton Dhaka. Bakarkhani dough of white flour and mewa is kneaded well and stretched thin by hand over the entire span of wooden board. Then after spreading ghee over it, flour is strewn on and it is folded and the process repeated several times. After sizeable numbers of such small dough are ready, they are made into Roti on the board and sesame seeds are spread on it. The rotis are then put inside the Tandoor. During the process of baking, milk may be sprinkled. Nowadays however, in place of ghee and milk, molasses solution may be added so that the bread turns reddish.